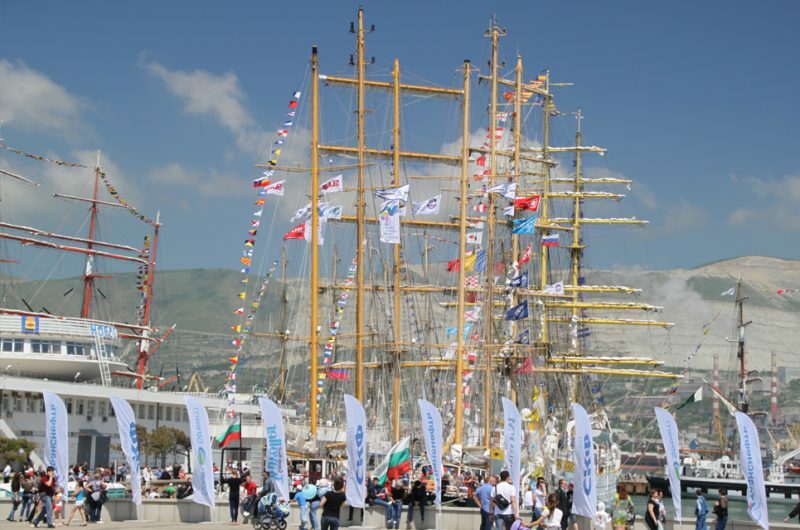 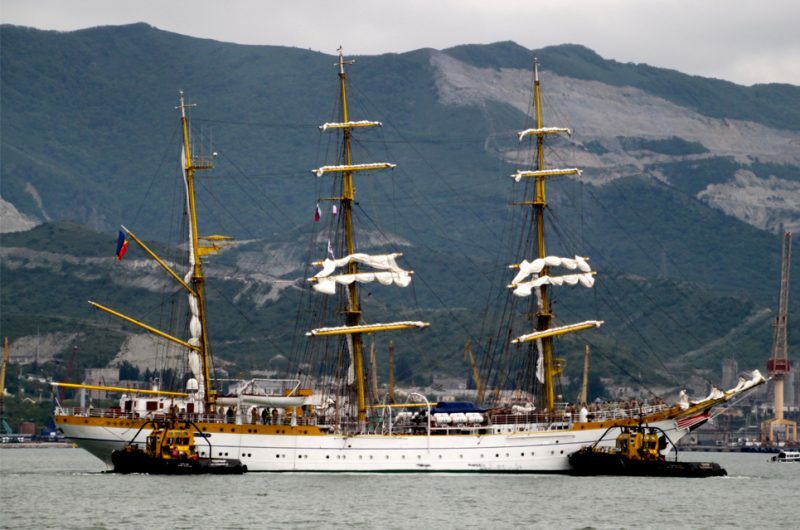 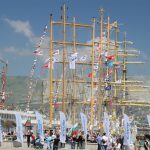 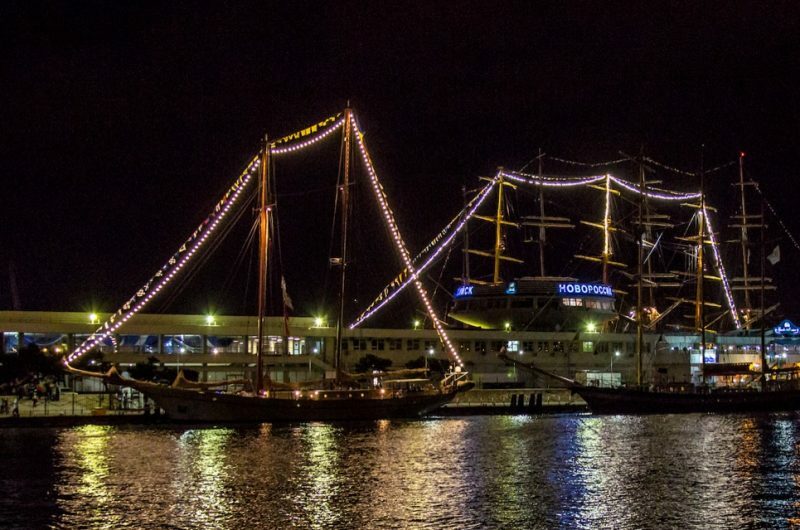 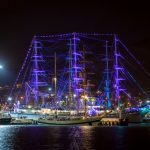 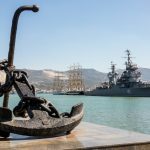 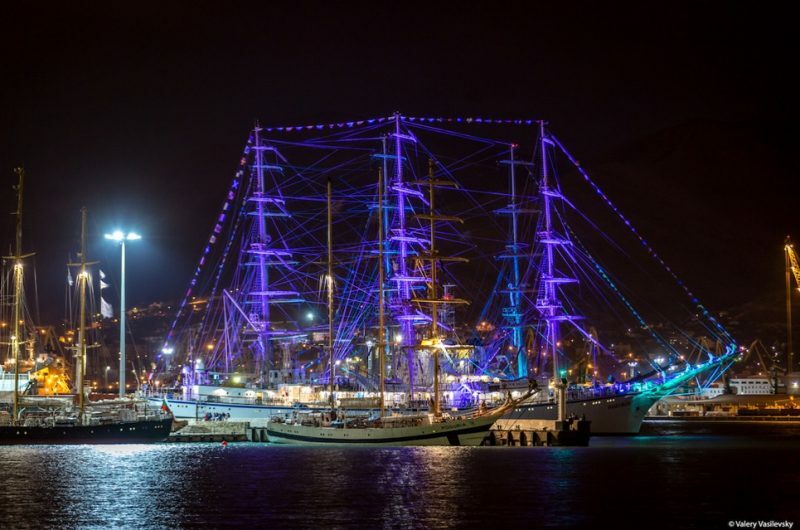 Tall Ships in Novorossiysk port. Tall Ships entering Novorossiysk port. Flying the flag in Novorossiysk. 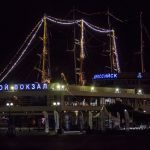 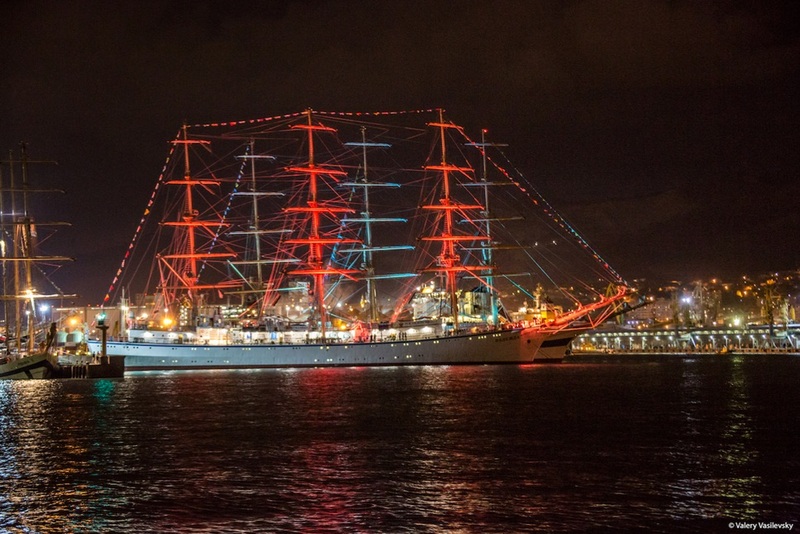 Mir ahead of Kruzenshtern in Novorossiysk. The STI team in Novorossiyk. 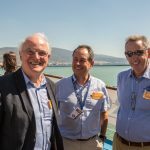 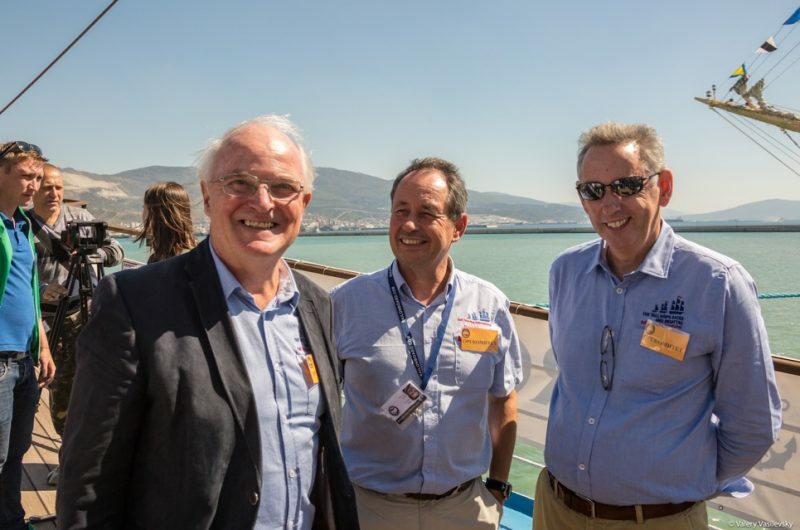 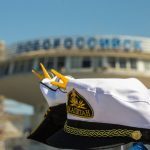 First visitors enjoying the fleet in Novorossiysk. 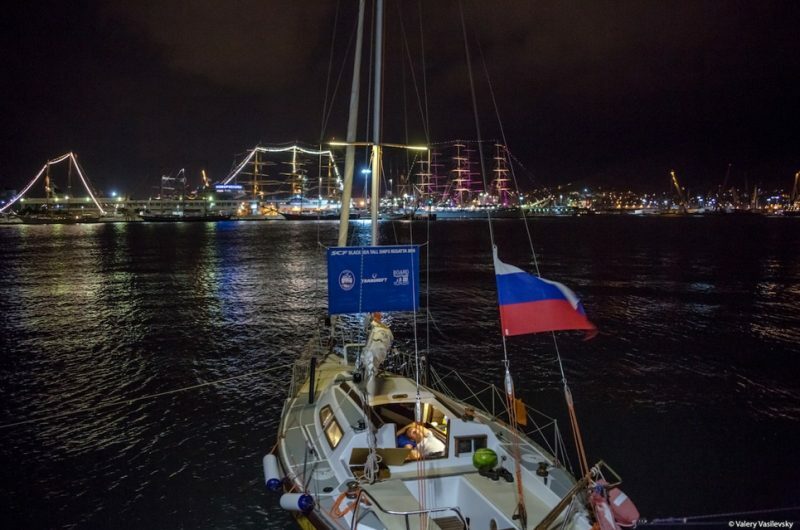 Novorossiysk from Class C berth. 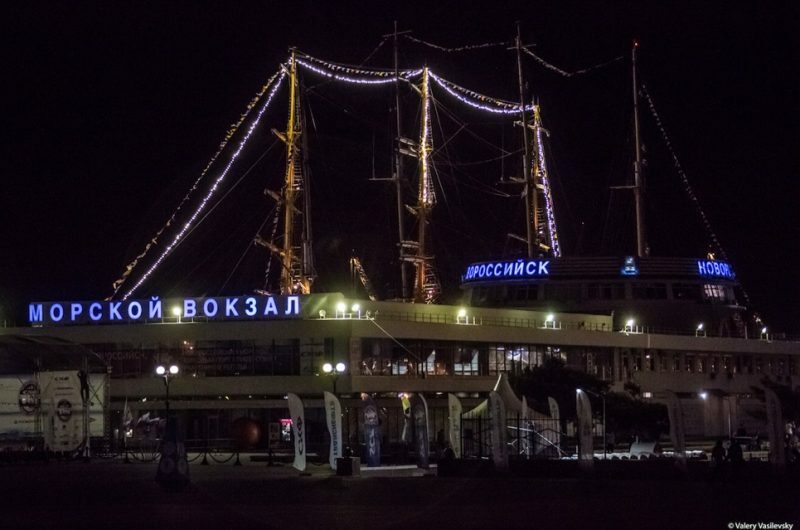 Lighting up the Novorossiysk nights. 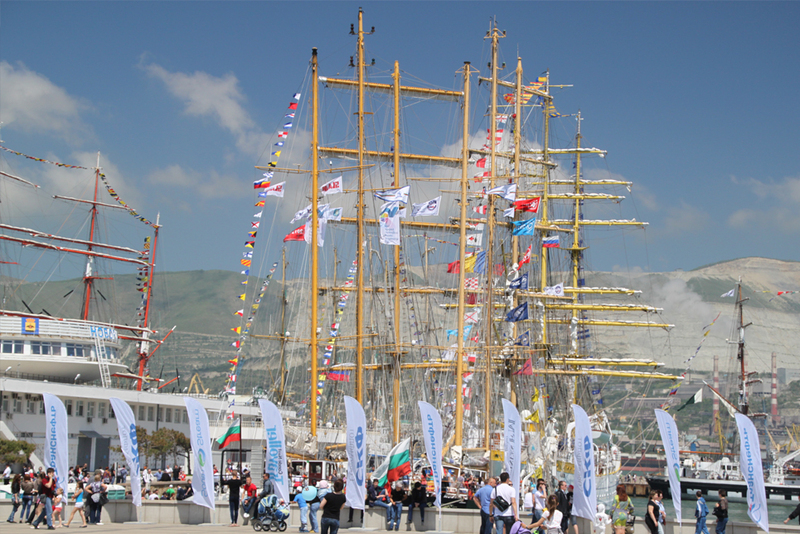 Atyla crew collecting their prizes in Novorossiysk. 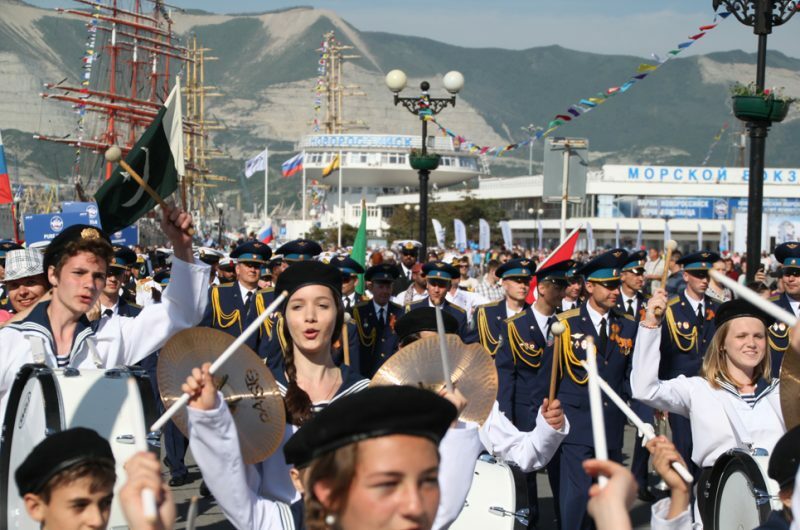 Novorossiysk is situated in the heart of the picturesque Tsemess Bay on the Black Sea. 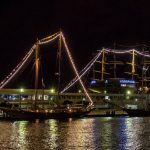 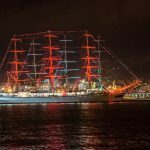 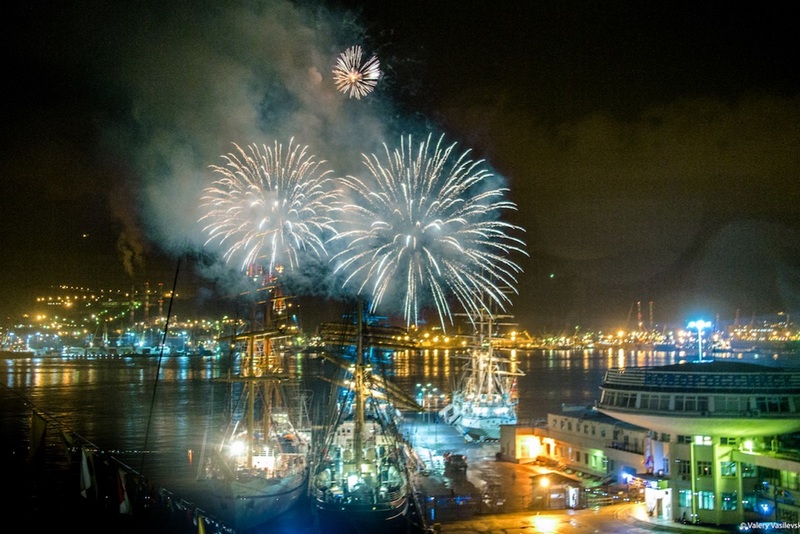 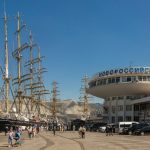 It’s the main Russian commercial sea port, and is one of the few cities honoured with the Soviet title of “Hero City.” This proud industrial, working city beame the second port of the SCF Black Sea Tall Ships Regatta 2016. 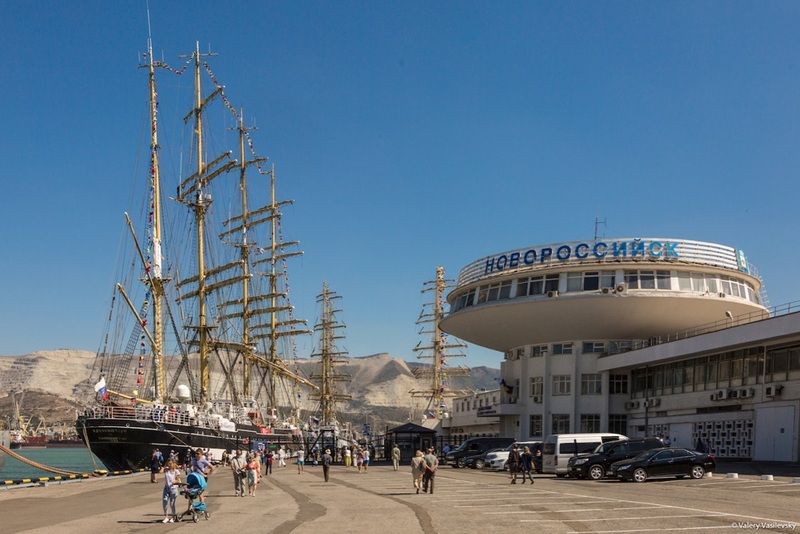 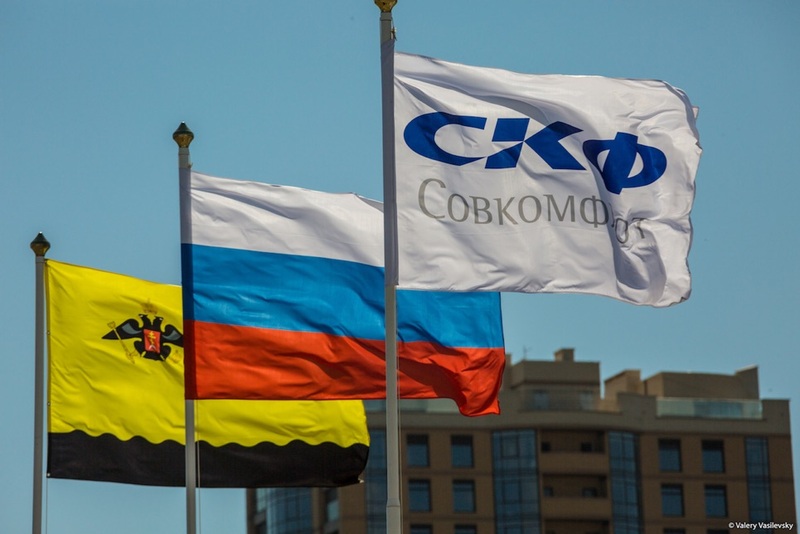 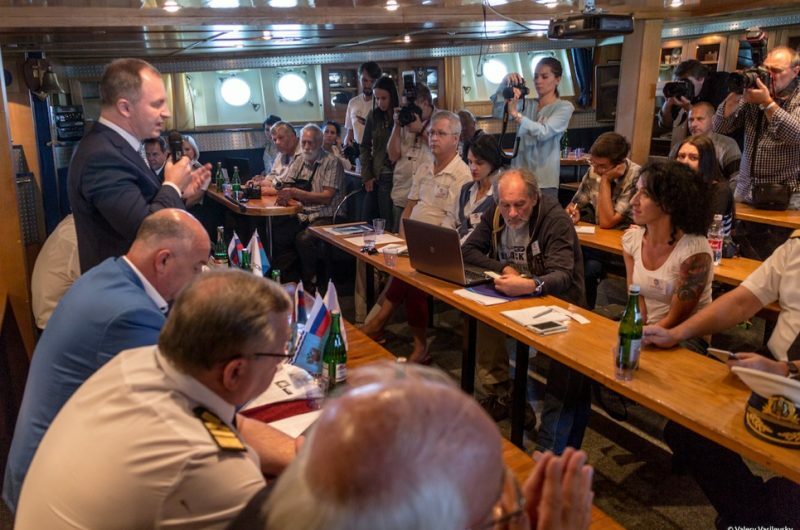 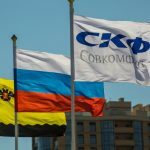 Novorossiysk connects Russian sea trade with Asia, the Middle East, Africa, the Mediterranean, and South America. 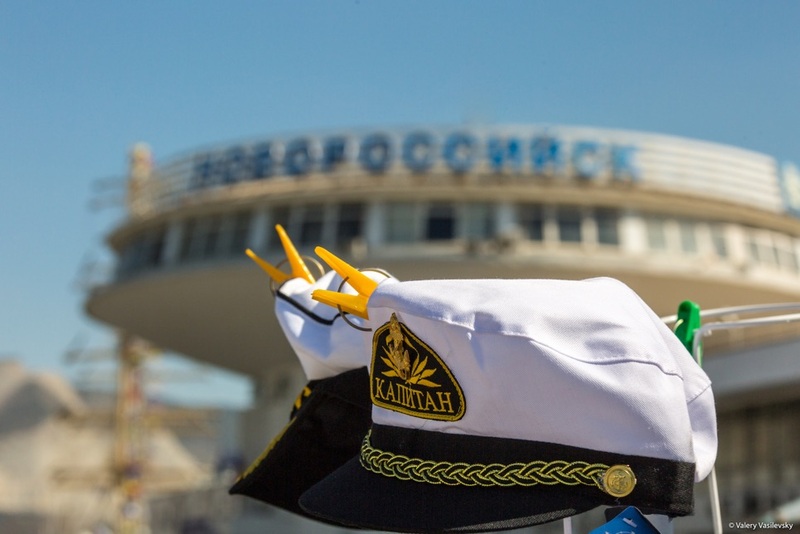 There are more than 15 institutes of higher education in the city, along with one of the biggest maritime educational establishments – Admiral Ushakov Maritime State University. 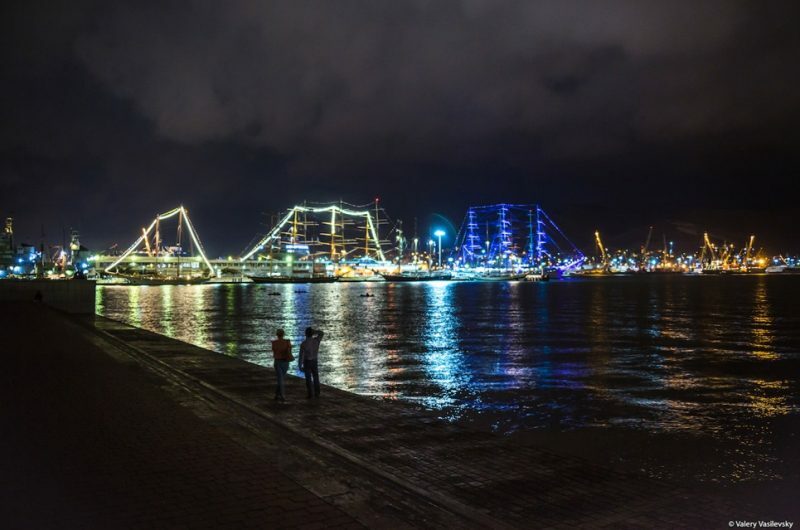 The city is located in a seismic zone – around 17 significant earthquakes occurred between 1799 and 1981. 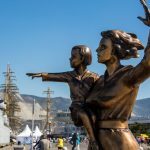 Novorossiysk stretches approximately 25 km along the sweeping amphitheatre of the bay, and it’s surrounded by the breath-taking North Caucasus mountain range. 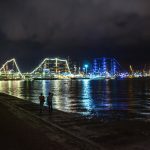 The city is a haven for tourists – you can enjoy comfortable beaches, sea resorts, sanatoriums, and the stunning freshwater lake Abrau. Along the lake’s shore, you can visit the vineyards and its impressive limestone cellars. You could even sample the famous sparkling wines (over 18s only, of course). The Abrau-Dyurso winery is also the official supplier of the Kremlin. 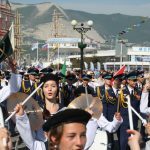 Just outside of Novorossiysk is the Bolshoi Utrish nature reserve, which spreads 12 km along the coastline. 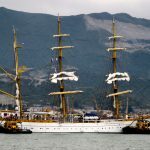 You can see perfect examples of rare plants and animals, such as Mediterranean turtles, sea eagles, mute swans, and bottlenose dolphins. 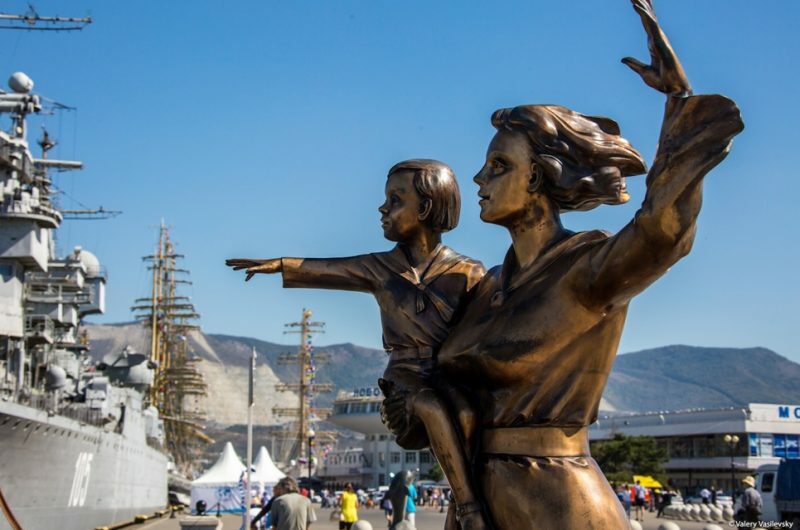 Back in the city, there are lots of impressive museums (mainly devoted to the Second World War), grand monuments, beautiful, lengthy embankments, and a large park with amusements. 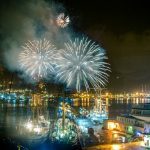 When it’s time to wind down, the city’s many restaurants, bars and nightclubs are the places to be. 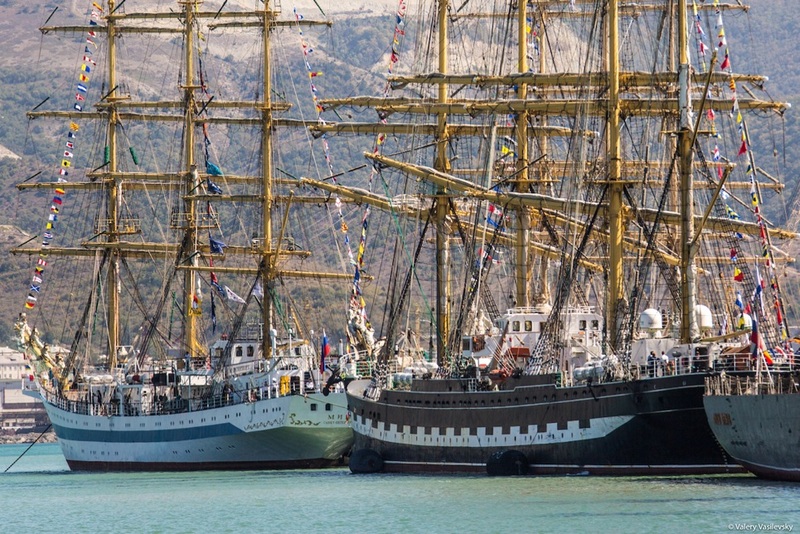 New quay berths were constructed and new infrastructure put in place for the SCF Black Sea Tall Ships Regatta 2014. 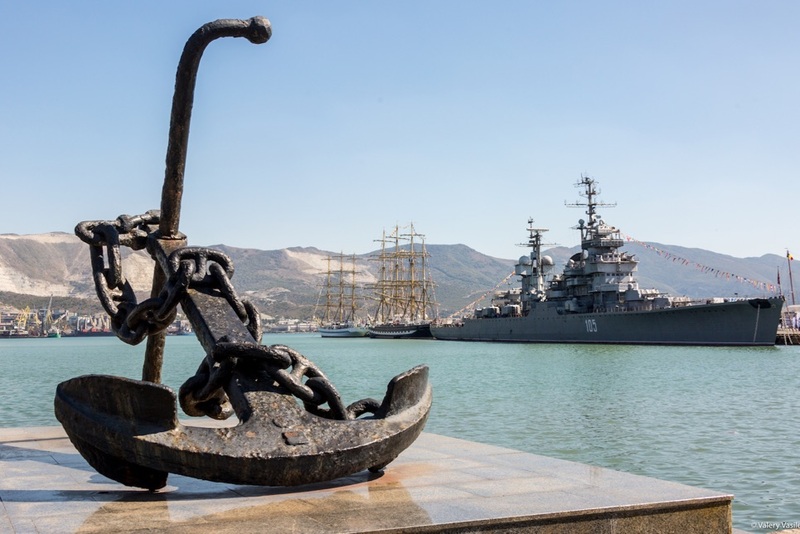 The inner port welcomes vessels with a draft up to 12.5 m.
The port acts as a naval base for the Black Sea Fleet and the Russian Navy. 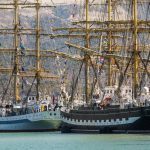 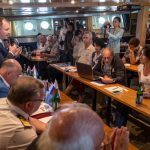 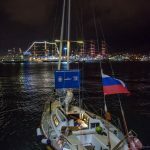 SCF Far East Tall Ships Regatta 2018 shared a post.